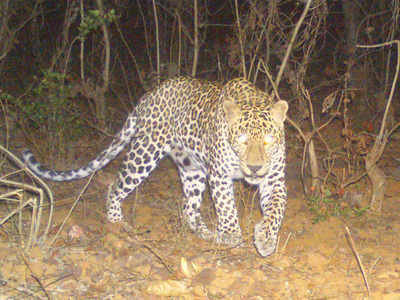 Injured in a leopard attack, a farm labourer and his friends allegedly beat the animal to death with an axe and wooden sticks, tied its legs to a heavy stone and threw the carcass in a river in Gir-Somnath district. VADODARA: Injured in a leopard attack, a farm labourer and his friends allegedly beat the animal to death with an axe and wooden sticks, tied its legs to a heavy stone and threw the carcass in a river in Gir-Somnath district. After realising that forest officials had got wind of the incident, they retrieved the carcass and burnt it on Friday. Farm labourer Bhagwan Mala, has been detained in the case. The official said the forest department would register a case under the Wildlife (Protection) Act.